We offer a variety of ice climbing programs at locations throughout the Northeast. 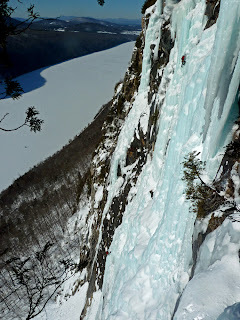 Some of our favorite areas include the Catskills, the Adirondacks, Cannon Cliff and Lake Willoughby. 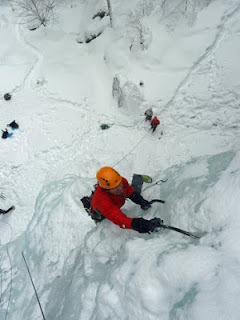 We can create custom ice programs for climbers of any ability. All technical equipment necessary for ice climbing can be provided. 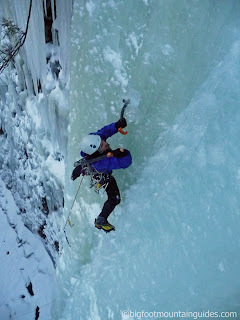 If you would like to book a trip contact us at 413-570-3223, at info@valleyvertical.com, or register for a program here. Climbers who are hooked on ice climbing will want to delve deeper into the sport. The Northeast region may have more ice than any other area in the US, and there are many challenging ice and mixed classics.